SOUTHINGTON - The Southington-Cheshire Community YMCAs announced that Mark Pooler will serve as the new Chief Executive Officer, effective Jan. 1, 2019. Pooler will succeed John Myers, who has worked for the local Y for the past 31 years and served as executive director for 21 years. Myers will retire at the end of December as previously announced. Pooler said that he is “honored and beyond excited” to be selected. “I have had many amazing role models and mentors along the way that have helped me become the leader I am today,” said Pooler. Pooler also thanked John Myers, the late Doug McLeod, Ralph Mann, Joe LaPorte, Dr. Bob Jacob and other YMCA and YMCA Camp Sloper staff and volunteers, his wife Dawn Pooler and his children Matthew and Abby for their support. Bedard added that Pooler is a “living embodiment of the YMCA’S core values of caring, honesty, respect and responsibility. “Over the 28 years of his career that Mark has dedicated to our YMCA, Mark has consistently displayed an unwavering commitment to bettering the lives of our YMCA’s staff, members and volunteers while also selflessly working to enhance the quality of life within our overall community,” he said. Y Board President Dan Daigle said that Pooler was at the top of the list for candidates. 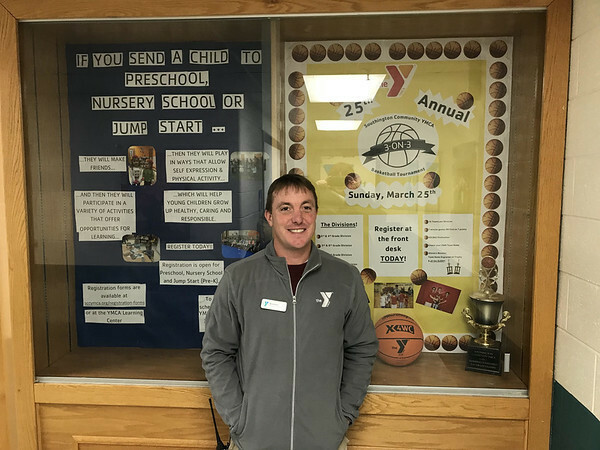 “I am excited that Mark will be leading our YMCA and bringing all his talents to the community that he has already given so much to,” he said. Pooler highlighted several areas that he will focus on in his new position, including membership, child care and the Y’s day camp. Posted in New Britain Herald, General News, Southington Herald on Monday, 5 November 2018 19:20. Updated: Monday, 5 November 2018 19:22.